Buy Lichfield Live a Coffee. ko-fi.com/lichfieldlive - Ko-fi ❤️ Where creators get paid by fans, with a 'Buy Me a Coffee' button. 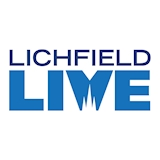 Lichfield Live is the only news website for Lichfield. Independently run by volunteers in their spare time, it's dedicated to impartial, up-to-date news about what's going on in Lichfield. Secured Payments. Support goes to Lichfield Live's account. Upgrade Lichfield Live to a yearly Gold Membership with a one-time payment.